CHICAGO, IL, July 31, 2018 /24-7PressRelease/ — Do you have children or pets? Using chemicals to clean can put your their lives at risk. Chemicals leave behind a dangerous layer which when ingested through the air or mouth, can cause serious harm. The elderly, children, pets, cancer patients and those with lowered immune systems can be seriously affected by the harmful effects these chemicals have.. Why put your family under such stress when you don’t have to? 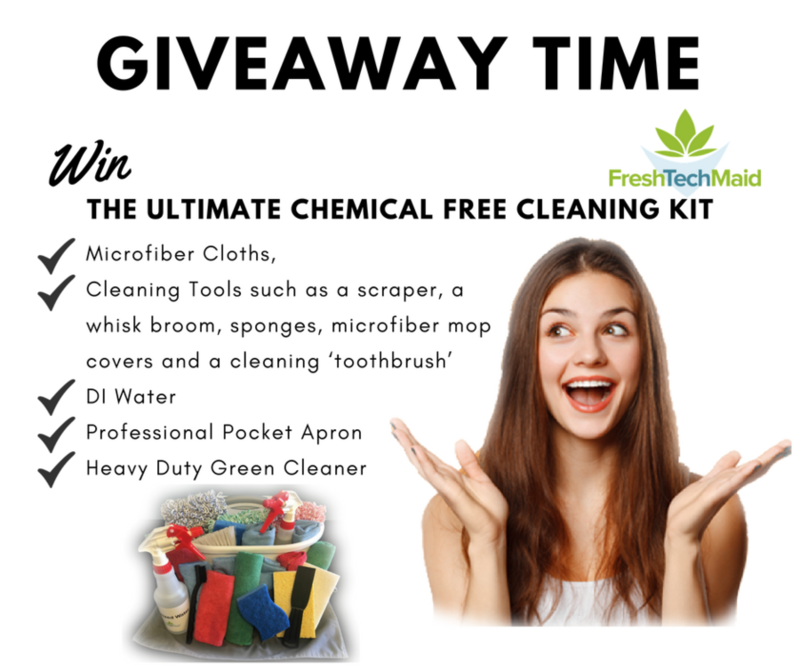 Fresh Tech Maid are running a giveaway so that three lucky winners can get their hands on the ‘Ultimate Chemical Free Cleaning Kit’. This kit will ensure your home gets cleaned as if done by the professionals. Our cleaning technicians use every single one of the products featured in this kit, and dazzling homes all over Chicago one clean at a time. Microfiber Cloths: Perfect for trapping germs and sanitizing your surfaces. The three different colors ensure you can use them in different rooms and avoid cross contamination. Cleaning Tools: Sometimes dirt and grime needs a little extra push. We’ve included deeper cleaning tools like a scraper, a whisk broom, sponges, microfiber mop covers and a cleaning ‘toothbrush’ all to make your home shine. DI Water: Our magic cleaning tool. Not only is it Eco friendly, it can sanitize your home while keeping your home and the earth healthy with no chemicals. Professional Pocket Apron: Keep yourself clean and organized! Heavy Duty Green Cleaner: Eco Friendly and tackles tougher surfaces the healthy way. It’s simple, just enter your name and best email on our website. 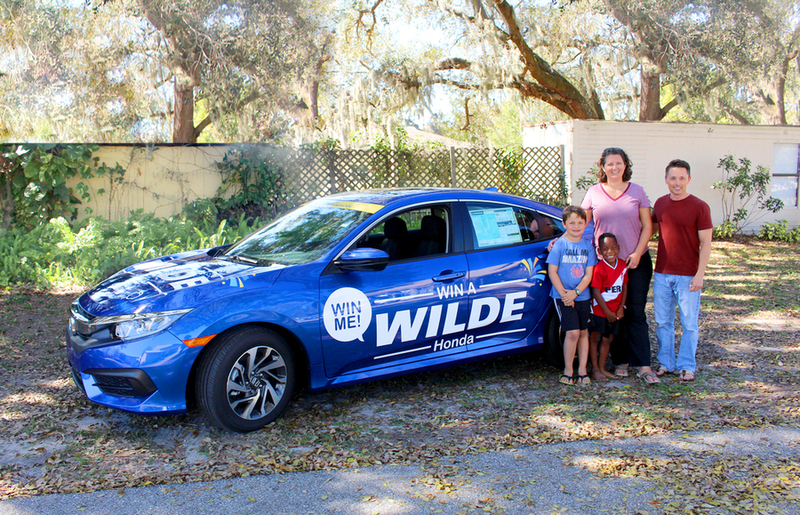 How easy is that for such an amazing opportunity? For three extra entries, just share our Facebook post, like it and tag someone who would love this prize in the comments. Three lucky winners will be notified by email after the competition closes on August 20th. About Fresh Tech Maid: Fresh Tech Maid are a top rated house cleaning service in Chicago, Arlington Heights and Evanston. They are a leading maid service Chicago who use the effective technology of chemical free cleaning to clean homes all over Chicagoland. With between 4.7 and 5 stars on Yelp, Facebook and Google, Fresh Tech Maid strive to create healthier and happier homes on a daily basis.